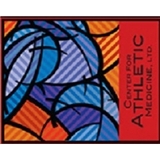 Center for Athletic Med (Chicago) - Book Appointment Online! I thought he was extremely thorough and professional. He was precise and methodical in his diagnosis. I really liked him.